Contact AirFreight.com for our dependable air charter services across North America and to worldwide locations. Depend on our Air Charter Services for your Ultra-Critical Freight Shipments. Count on our wealth of experience with handling the most critical shipments coupled with our network of cargo air charter operators. 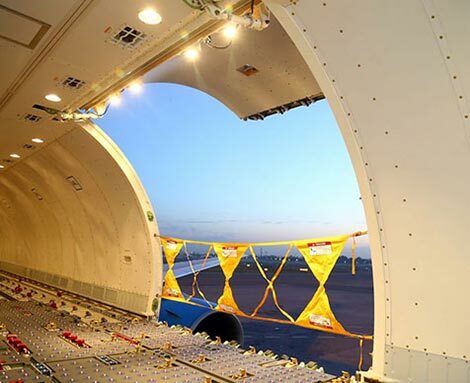 Whether you’re in dire need of a crucial part to keep a production line moving or challenged with a firm customer deadline, AirFreight.com is ready to provide the solution. When your most urgent shipments require the exclusive use of an entire aircraft, contact AirFreight.com for our dependable air charter services across North America and to worldwide locations. Sometimes the only possible way to reach a shipping deadline is via the fastest possible solution of Air Charter services. We're experienced and equipped to provide tailor-made air charter solutions around the clock so that your most urgent air freight arrives when required. We'll assist in determining the best charter solution for your air freight shipment needs and research carrier availability and negotiate the best charter price for your budget, for ultra-critical shipments air charter is the premier choice. Our air charter pricing is customized specifically to your actual needs combined with determining the ideal aircraft type and position to ensure that your urgent air cargo arrives on time. Air charter services can help you to overcome constraints that standard air freight simply can't overcome, we'll partner with you in determining the best air charter option to reach your delivery objectives and will monitor the shipment every step of the way. AirFreight.com specializes in aircraft charter and jet services, emergency air charter services, international charters and time-critical freight shipments. We provide air charters and global air charter services with virtually no size or weight limitations, ideal for those extra large, time-critical cargo shipments that simply must arrive on time. At AirFreight.com you can always rely on our team of charter experts, we have the ability to move any air freight shipment including oversized cargo, high-value cargo and more. Depend on us to find the most appropriate solution via our extensive network and 24/7 operations. Air Freight provides the resources and dedicated expertise to charter the ideal freight aircraft for your urgent air shipment. All of our services are backed by seamless support and logistical excellence throughout your flight. We take great pride in our partnership approach and the quality of our team in delivering superior service to all of our customers and if this is your first time visiting Air Freight we encourage you to take a moment to read our testimonials. Call us today at (800) 713-1000 to speak to an air charter professional who can source the ideal air cargo charter solution for your urgent air shipment. We're ready to help and positioned to meet your objectives. There are a number of scenarios that call for air charter freight services to allow deadlines to be met, it could be a special event going ahead as planned or to keep production at online full capacity at a remote location due to an urgent part being needed. Copyright © 2019 AirFreight.com. All rights reserved.